Made with HDQ Polyester sponge material. This time tested formula provides superior strength and a cell structure that wipes and rinses excess grout faster. 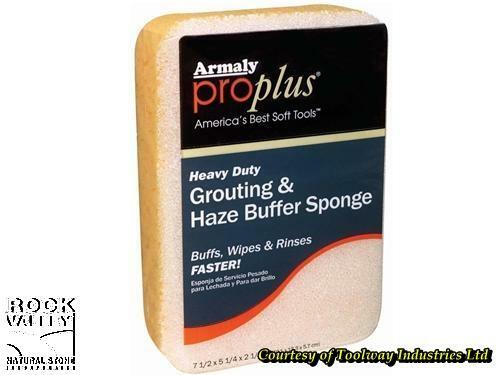 This product incorporates a layer of 2520 BuffCell material on one side to assist in removing grout haze and dried grout from the surface of tiled area prior to cure. The sponge is shaped with round edges that are designed to minimize digging out or scoring of grout lines.